What is a 'Registered Architect' and How do know if an 'Architect' is registered? What does an architect mean by 'Full Service' and 'Partial Service'? How can an architect save you money on your home design or renovation? Some architects charge percentage fees, how does this work? How do I set a realistic budget for my new home? What building options do I have when building a residential home within a budget? I’m planning a home renovation - what simple mistakes might I make? We are planning a home renovation - how do you start the process and what are your costs? I’m planning to renovate but not sure if I need an architect or a draftsperson / home designer? Do you provide home renovation advice? What is a masterplan design and why should I have my architect create a masterplan? What is 3D home design and why is designing in 3D useful? What is LED lighting and why is it so popular? Granny Flat - What is the easiest way to get an approval? Should I remove work that is Exempt Development from my Development Application / Complying Development drawings? Has the Exempt and Complying Development Codes changed? I have kids - Are there any restrictions in openable windows? What is a 'Registered Architect' and how do I know if an Architect is 'Registered'? Someone who can legally use the title 'Architect' and can advertise that they offer 'architectural design or architectural services'. Use of the term 'architect' is protected by legislation known as the 'Architects Act 1997', so the word 'registered' is actually redundant because you must be registered to use the word 'Architect' anyway! A registered architect must also provide you with a copy of the Architects Code of Conduct, evidence of their professional insurance and prepare an agreement when quoting to provide a service. Note: Architects no longer carry an ID. Not every project needs an architect. Ask yourself ten simple questions to find out if you need an architect for your home renovation project? Then if you do, we have a list of questions for your architect before you engage them. FAQ - How do architects charge for their services? FAQ - What does an architect mean by 'Full Service Architect' and 'Partial Service'? There are three main ways architects charge for their services, and some projects may include all three types of fees, which are introduced at different stages of the project. This is probably the most common method because it requires the least work. The architect offers a range of 'Full Service' fee percentages, which vary depending upon the type and size of the project. Example: Most projects would fit within the 8% - 18% range of the projects total 'Construction Cost' for the Full Service. New homes are usually cheaper than additions / renovations, and small projects command a higher percentage than larger ones. Initially where the actual 'Construction Cost' is not known the architect bases their fees on the budget for your project. This involves the client providing a detailed brief to such a degree that the architect can provide a quote for the work. Whilst it is called a 'fixed fee', it must be altered when there are significant changes to the scope of work. This method requires the scope of work to be really clearly defined and with all 'Fixed Quotes' there is often a considerable 'extra or margin' built in to keep the architect out of trouble. This method involves the architect specifying their hourly rates, then keeping an accurate record of all time spent on the client's behalf, and invoicing monthly or at the completion of each stage. FAQ - Should I get pre-purchase development advice? What does an architect mean by 'Full Service Architect' and 'Partial Service'? Where the project brief is moulded into an initial concept design and presented to the client. Where the project is altered and refined, reviewed with regard to council controls, fully drafted and prepared for costing and other consultants to work from. This is where all the documents are put together for council, including the involvement of consultants such as engineers, landscape architects and town planning reports. This stage ends with a submission to council. Following council approval, a CC set of documents is prepared for approval to build. These incorporate any approval conditions, minor changes and structural details. Where details, specifications, schedules, finishes and product selections are made for the purposes of tendering to builders, and for the construction process. Contract administration is where the architect is engaged by the client to administer the contract between the client and builder. This includes the architect making periodic site inspections, processing the builders progress claims, checking the quality and value of work done, and issuing certificates for payment to the builder. There are other similar but non contractual roles for the architect here also, which can benefit the project greatly during the building process. Partial service is a term used when not all of the above stages are completed by the architect. Example 1: A common 'Partial Service' might be to employ the services of an architect for 1. Concept Design through to 3. Development Application, where it is then submitted to the local council for development approval. Example 2: To save on architectural fees, a client may decide to undertake 'full architectural service' but leave out 6. Contract Administration and take the risk on doing this themselves. For further and more detailed information on each stage of the process including a Pre-stage called 'Feasibility Study', please see our guide - the stages of this design & building process. FAQ - How can an architect save you money on your home design or renovation? Pre-purchase development advice is a good idea if you are looking at purchasing a home and considering the option to extend or renovate. As architects who specialise in residential homes, we are experienced at providing pre-purchase development advice. We can discuss your home renovation ideas and offer design advice or feedback that will really start you thinking about whether a particular property is the right investment for you. We can also point out what to look for when house hunting so you are much more likely to buy the right property and achieve success. When giving Pre-Purchase Development Advice, we consider a number of factors in order to sort out what the project might be (if anything). Are you planning to buy a house in Sydney? See our Pre-purchase advice page or simply call us for free phone advice. Are you in a Hurry? 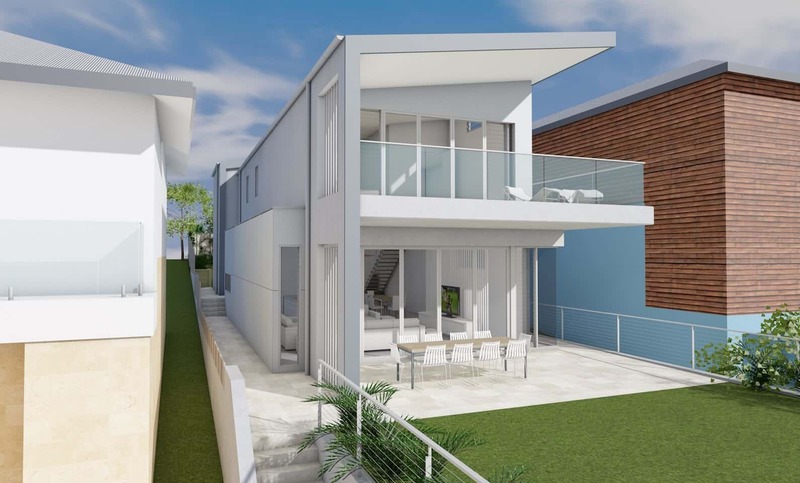 Try our Architects Guide to Buying a House in Sydney with 15 point checklist. FAQ - Some architects charge percentage fees, how does this work? Architects are skilled and experienced home design professionals, so there are many ways we can save you money on your next new home or renovation. Architects are well known for design, so we can show you how to create a unique and beautiful home with less expensive materials. This way you get shmick design and excellent value for money. Architects are skilled at planning. A well planned home design or renovation can save you from the costs associated with building larger and less flexible spaces. Architects will often be able to vasty improve the energy efficiency of your home and over time this will result in significant savings. Architects work with you to discuss your individual living needs and tastes, so that your home complements the way you live, both in the short and long term. In this way architects are able to design in flexibility so home can evolve easily and more cost effectively as your needs change over time. Architects can also advise you on how to minimise ongoing running and maintenance costs over the life of your home. This can be a big saving. Architects have access to suppliers, products, materials, fixtures, and fittings across the whole range of residential products so we can source good deals, get discounts and make better selections than most of our clients, and unlike some builders we pass these savings directly to our clients. Architects can also assist you during the construction phase to save you money under the building contract - by minimising variations, clarifying discrepancies and defending you against unfair claims for extras by the builder. 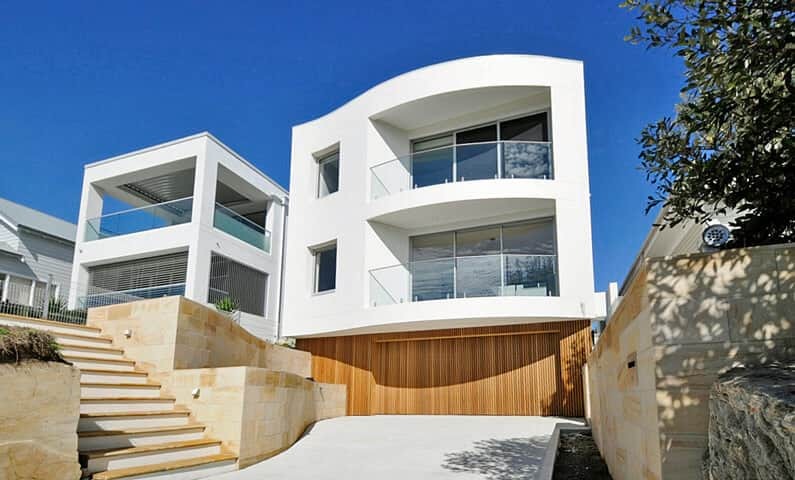 At All Australian Architecture we are exclusively single home architects. We can accommodate your unique style and we aim to make good design available to everyone. FAQ - How much does it cost to build a house? Traditionally architectural services are calculated as a percentage of the completed building cost. For domestic projects the architects fees will normally range between 7 - 18%* for full service but dependent upon the scope of work and economies of scale. Partial services, where the architect is engaged for specific stages will total significantly less. For example, a small renovation costing around $100k may total $18k (18%) for the ‘full service’, or around $9K (9%) up to the Construction Certificate Stage only. With a larger project costing around $2M, the architects fees may be closer to $200k or 10% for the full service. Initially, the clients budget is used to calculate these percentage fees, until the final building cost is established. From the architect’s perspective, percentage based fees are easy to calculate & offer some protection when the client’s brief grows & more work has to be completed. Where there is a higher building cost, the architect is entitled to a larger fee. From the client’s perspective, it sometimes seems unfair that the architect’s fees may increase simply because they have chosen more expensive building materials & fixtures, or because the architect themselves have designed a more expensive product. * Fee range provided by Archicentre in their guide ‘Working with your Architect’. FAQ - How do I set a realistic budget for my new home? How large will the house be? What materials will the house be constructed from? What quality of fit-out will the house have? What area is the house located in? What type of site will the house be built on? What environmental factors may affect the house? What sort of access does the site have? These square metre rates usually only refer to the area of the house measured to the outside of the external walls, and do not include work outside of this area such as swimming pools, driveways, decks, and siteworks or landscaping. To accurately find out the cost of a project you can use a Quantity Surveyor (QS) or Building Cost Estimator. Builders costings are often not reliable early on in the design process and can increase greatly when the full scope of work is revealed. Builders also do not tend to provide a detailed costing list as a QS would. Try out our home building cost calculator, and make a quick check of your home building budget. 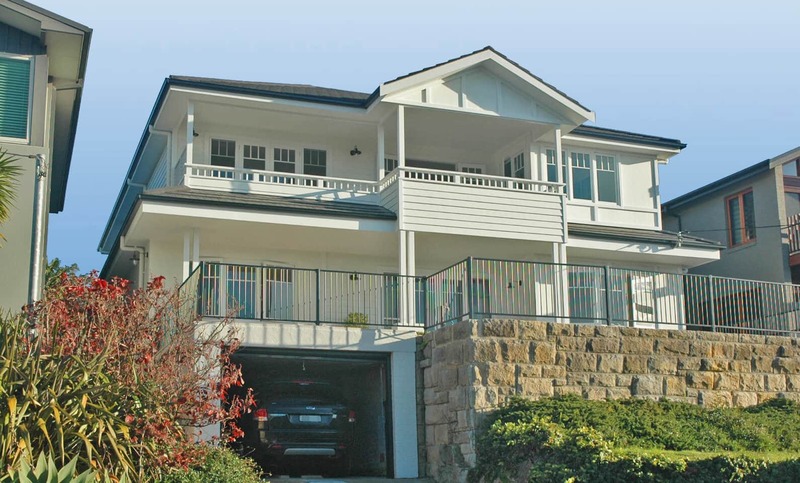 FAQ - What building options do I have to build a residential home within a budget? the home-owner to establish a suitable and realistic budget for their project we have prepared a 7 page Guide to Preparing a Building Budget. This guide includes comparisons of different budgets, discusses why building costs can vary and touches on architects fees and how they work. You might also want to download our guide to Design & Building Approval Timeline, which includes information on critical paths and notes on how to fast track the process. FAQ - I’m planning a home renovation - what simple mistakes might I make? What building options do I have to build a residential home within a budget? Your building options will vary depending on whether you are renovating or building new. These are homes which are designed to be built in large numbers from a range of off-the-shelf designs. The design does not take into account factors such as orientation to the sun, views, neighbours, etc.. This is where a building company quotes to build or renovate your home and includes the design as a package. It is a good way of knowing what the final costs are from the beginning and some of the better ones use architects for the design work. This is the best but also the most expensive way to design your home or renovation. Some architect-designed homes can be very inexpensive, while others can be quite lavish and fit into the luxury category. Reasons that architect-designed homes can be more expensive than project or design and construct homes, are because of closer attention to detail, greater use of glass, more expensive finishes, and the designs being one-offs to suit your site and your brief. Our Building Costing Calculator lets you quickly estimate your likely build across 9 different 'quality levels' of design & construction. FAQ - We are planning a home renovation - how do you start the process and what are your costs?? The answer to this is covered in our short guide, 10 Mistakes People Make When Renovating which highlights some common mistakes that people make when renovating their home such as, undervaluing their property, skimping on design and not being clear about their renovation budget. We also have a guide with notes on tendering home builders and the building process, which covers the 10 ten steps from start to finish, and might help you achieve a successful tender and a lower building price. FAQ - I’m planning to renovate but not sure if I need an architect or a draftsperson / home designer? Up to this point there is no cost. Should you wish to engage us, we would normally work on an hourly rate do and charge basis. We give regular estimates of the likely time to be spent. We invoice regularly and include detailed itemised statements of work done. We don't charge % fees and each stage of your project is discreet and you are not locked into completing further stages with us. We can be engaged to complete just the design stage or as many of our clients do, engage us for the full service. If you are planning a home renovation, then briefing an architect may be the first step. Following our briefing your architect - 10 step guide to get started your project. FAQ - What is a masterplan design and why should I have my architect create a masterplan? Not every new home or home renovation project needs an architect, so we have prepared a simple list of questions to help you out: Do I need an architect for my home renovation?. FAQ - Is it possible to have an architect provide home renovation advice onsite? Yes, home renovation advice is our specialty and we even offer a simple hourly rate design service. Our minimum service is 2 hrs and you can book us online once we have agreed on a suitable time to meet. We also have a similar service for pre-purchase development advice, which is free for office advice or a small fixed fee for on-site advice. Hourly rate and pre-purchase advice is only offered in some areas of Sydney. FAQ - What is 3D home design and why is designing in 3D useful? Does my home renovation first need a masterplan design? Ideally, yes. Before you undertake any renovations you should have an architect prepare a masterplan design. This is so you can best explore all the opportunities available to you, and then prepare the scheme you will work towards in stages. This way you far less likely to do redundant work. For example: I went to see a home and give advice on the next stage of their renovations. It turns our that they really needed to mover their recently renovated bathroom - this caused some disappointment and regret at not getting advice sooner. It is important to consider your site holistically when deciding to undertake any small scale renovation. A masterplan for a project does not isolate the specific area to be renovated without considering how this will effect the property as a whole. At All Australian Architecture, we recommend you start your smaller scale renovation works after a more thorough assessment and ideally with a masterplan design mapped out. You will then be able to work in stages and towards your final goals. A little professional advice can make a difference to your home design. Our hourly rate service may include a feasibility study and assistance with future planning / masterplanning. Just let us know what you need, we'll make a time and you can book us on the website. Contact our principal architect now on +61 2 0412 348 575. FAQ - Should I remove work that is Exempt Development from my DA / CDC drawings? Designing in 3D involves using specialised computer programs to create a 'virtual model' of design for your home renovation which can be viewed on the computer, tablet or smartphone. This is also known as 'Building Simulation' or 'Building Information Model' BIM. Three dimensional models communicate home designs in the form of virtual walkthroughs, 3D snapshots, and photo-realistic renders. Architects understand that clients are not generally accustomed to reading two dimensional architectural plans and elevations. When home designs are produced in 3D, it makes it easy for our clients to see exactly what they are going to build, before they build it. It also allows architects to successfully explore many more design opportunities and better resolve designs. 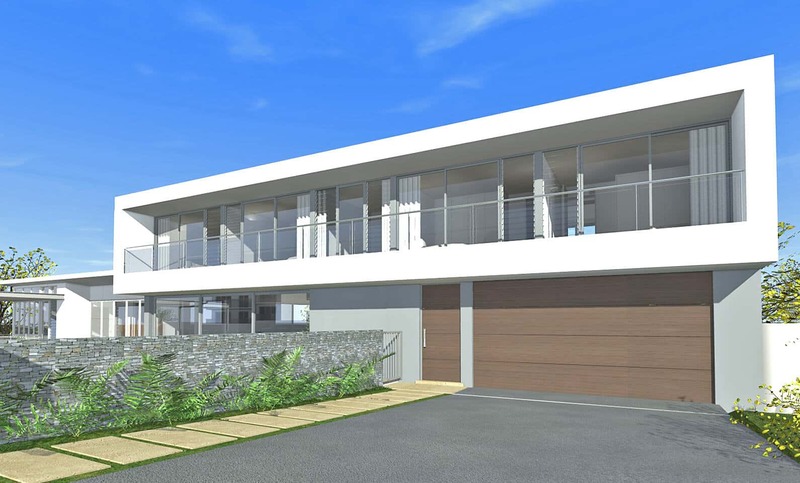 At All Australian Architecture, we find designing in 3D helps us design and deliver the best architectural solutions possible, in an easy to understand format. With Archicad BIMx (Building Information Modelling) technology we can model your new home in 3D and gives you the chance to see your design before it's built. Download a free sample of the May House Renovation or our Clover Home and see for yourself. FAQ - Has the Exempt and Complying Development Codes changed? LED lights are a relatively new and evolving technology. Because of the significant cost savings over time, it is a long term investment and one you can start investing in now. See our tips on LED lighting for your home. 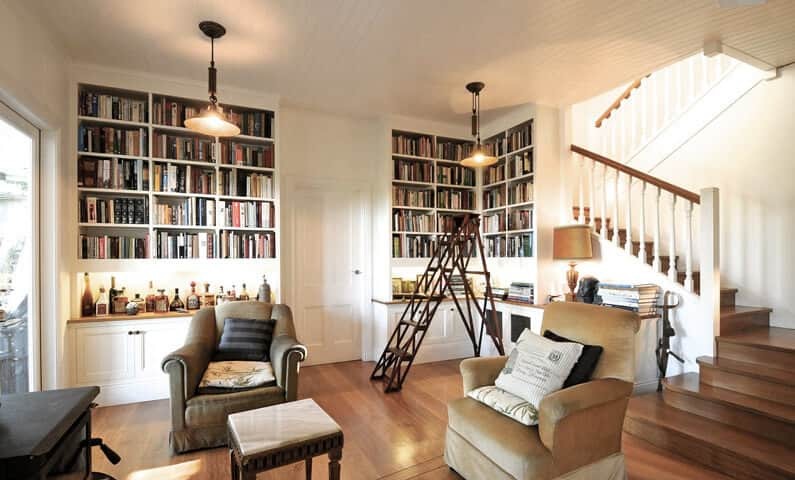 A granny flat can be a positive way to add value and flexibility to the use of your home. The approval for the addition of a granny flat to a property can be processed in Complying Development or Development Application. Please see our checklist for Granny Flat design and provision options. This will guide you to the available pathways of action in the addition of granny flat. FAQ - I have kids - Are there any restrictions for openable windows? If you do show exempt development work, then it becomes work to be considered and approved under Complying Development / Development Application. This means all work including exempt, will be required to comply with BASIX and forms part of a Construction Certificate. If you want to keep any exempt development work separate from the approval, it should be clearly clouded and noted or left off the drawings completely. Visit our before / after renovations portfolio. The NSW Housing Code (otherwise known as State Environmental Planning Policy -Exempt and Complying Development Codes) 2008 has been significantly amended to expand the amount of exempt and complying development across NSW and increase the area to which the Code applies. The first round of changes came into effect on 25 February 2011. Since then the last update was 22nd February 2014. Please see Council vs Complying Development Code Comparison to see which approval option suit your home. Do you need an architect for your complying development approval? FAQ - What is a 'Registered Architect' and how do I know if an Architect is 'Registered'? I have kids - Are there any restrictions for openable windows? Children and adults can be at risk of falling through windows. Children especially will jump around, on furniture or bedding and risk a life threatening fall through an open window. Finally there are some regulations that put protections in place that could minimise death or injury. Please see our checklist for openable window protection with 6 simple diagrams. Granny Flats and affordable rental housing.